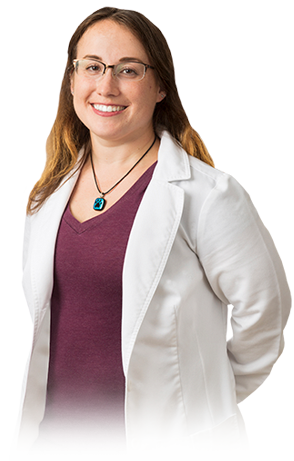 Dr. Withey grew up in Indianapolis, knowing she wanted to be a veterinarian from a very young age. She graduated from Purdue University College of Veterinary Medicine in 2007 and has been working in Northwest Indiana as a small animal veterinarian for the last 11 years. Specific veterinary interests include internal medicine and ultrasound. Outside of work, Dr Withey enjoys riding the trails on her horse, working out, and hiking, particularly when she gets to hang out with her two nephews in the process. She shares her home with 2 cats, Dorian and Oscar, and a doberman named Dante.